The IWLA Diversity Council is pleased to introduce members to its new webpage: http://www.iwla.com/councils/iwla-diversity-council/. 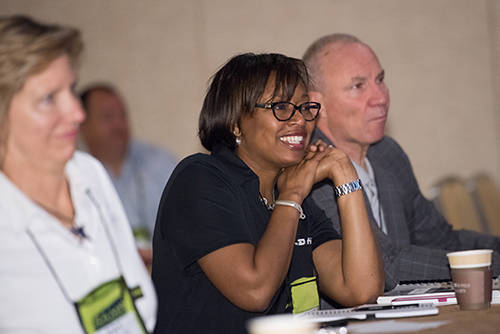 This is the first step in the council’s goal of becoming a source of information and an action center to improving diversity and inclusivity in the warehouse logistics industry. But first, the council goes back to the basics. Here is a peak at the diversity and inclusion FAQ. Diversity means difference. In business, diversity is the way in which individuals within and outside of a company or organization differ from one another. This includes physical characteristics, life experiences, work division, job responsibilities, family status, and all other pertinent characteristics that make each individual unique. Inclusion in business is the extent to which a company manages, integrates, and leverages its diversity. This includes how well individuals’ or groups’ experiences, ideas, perspectives, needs, and talents are recognized, sought, respected, and/or developed by the company. Of particular emphasis is the degree to which people from groups underrepresented in positions of leadership are afforded the opportunity to advance within a company. Typically, but not always, diversity and inclusion (D&I) work in tandem as part of an overall business strategy. Who is responsible for diversity and inclusion initiatives? The individual(s) responsible for managing diversity and inclusion initiatives varies. In some companies, responsibility falls to the president/CEO. In others it is the Human Resources unit/division/department/manager. Larger companies might have a Director of Diversity or Chief Diversity Officer. Or they might assign the diversity and inclusion program to an executive team or internal or external diversity council. Some companies assign D&I to their Board of Directors. How are diversity and inclusion programs being implemented and managed? Generally, to be fully effective, diversity and inclusion initiatives need to be embraced by and clearly communicated from the highest levels of the company. Formal and informal practices and policies need to reflect the company’s commitment to diversity and inclusion. A good start would be incorporating diversity and inclusion into a company’s mission and vision statements or inserting them into strategic goals. Or many companies may initiate a training program to educate employees about embracing diversity and providing them tools to appreciate differences at the workplace. Want to hear more ideas on how to integrate D&I into your company and hear more about the benefits of an inclusive culture? Visit the IWLA Diversity Council FAQ and webpage. Click here to join the IWLA Diversity Council.